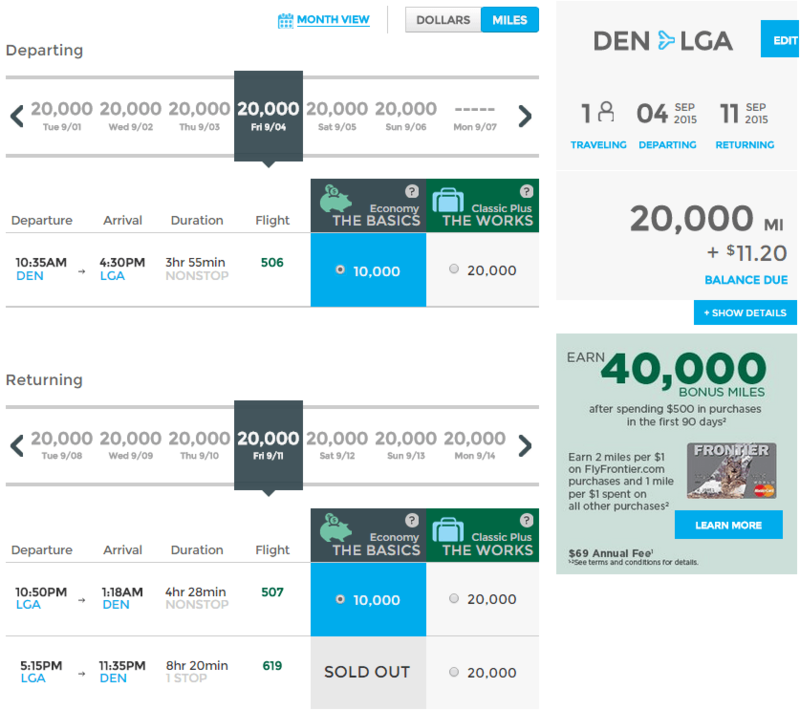 Frontier Airlines and its EarlyReturns frequent flyer program underwent a considerable overhaul in March 2015, putting it firmly on the path of becoming a true ultra-low-cost carrier. Fortunately, the EarlyReturns award redemption levels have not changed even though the economy rates are getting a bit harder to find nowadays. The Denver-based Airline’s no-frills approach means that it charges for everything. While food and drinks already cost extra on most carriers, the policy of charging passengers for carry-on bags and seat assignments is taken directly from the Spirit Airlines playbook. 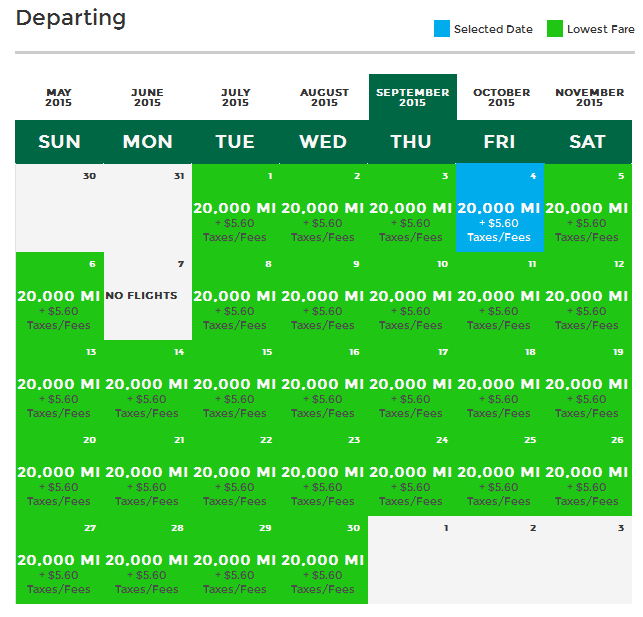 Frontier does allow members to earn miles with its Barclays credit card and travel partners, such as hotels and car rentals, but it has no airline partners for miles redemption or earning purposes. Until recently, Frontier Airlines was a transfer member with the American Express Membership Rewards program, but the partnership ended earlier this year. As of now, the only program you can use to transfer miles to EarlyReturns is Diners Club. When Should You Use EarlyReturns Awards? EarlyReturns has a simple redemption structure. It consists of two levels: the lower-priced Economy and the standard Classic Plus awards. One-way flights can be redeemed for half the miles. Frontier Airlines is a big player in its Denver hub, so local residents can benefit greatly from membership in the EarlyReturns program. Before redeeming miles though, always check the airline’s deals, as fares can go as low as $19. Frontier Airlines doesn’t have a points-plus-cash feature, but it makes up for it with aggressive price cutting. In some cases a heavily discounted cash ticket can be a better deal than paying taxes on top of the miles. In terms of getting the best bang for your miles, international awards between Denver and Mexico, Costa Rica, Jamaica or the Dominican Republic are good options. Flights to Costa Rica probably represent the best value, but finding an economy award is a challenge since the route is seasonal. It’s also not clear if the airline will extend its Costa Rica service beyond June. 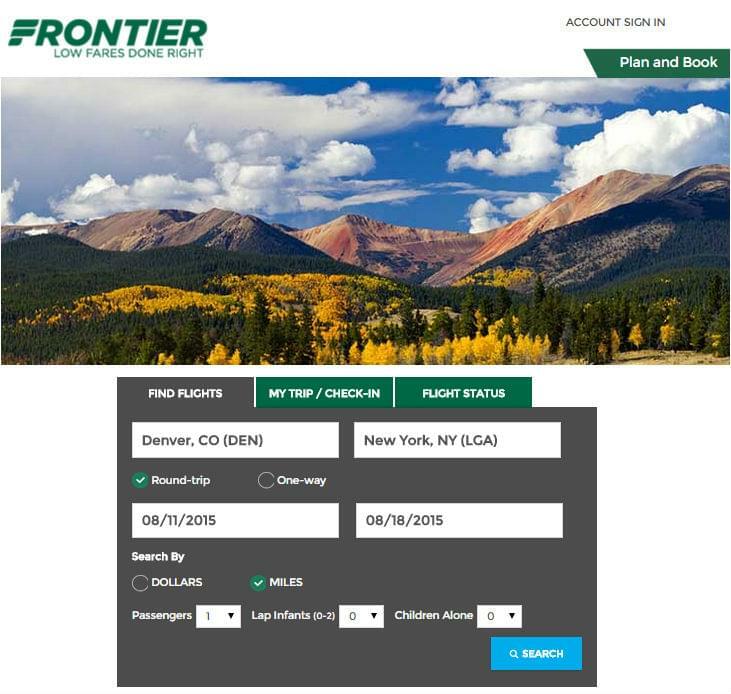 Go to the Frontier Airlines website and sign in to your account by clicking on “account sign in” located in the upper right corner. 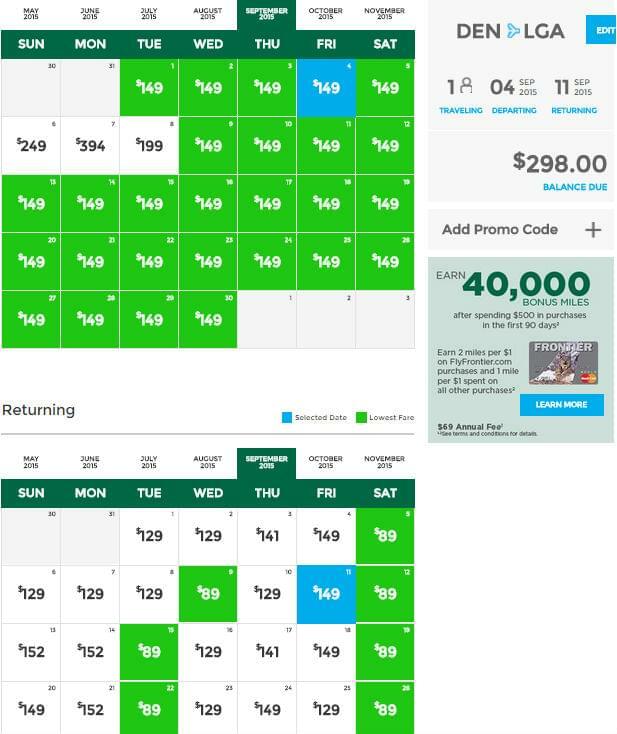 If your travel dates are flexible and want to see the most options, select “month view” at the top of the results page. The Frontier Airlines website can be buggy. 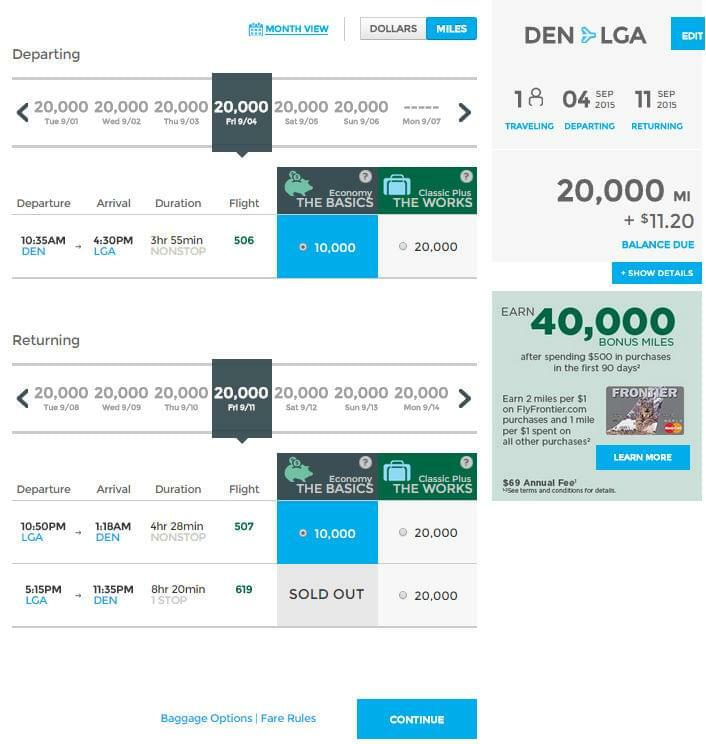 Even though the screenshot above shows Economy seats for the flight from Denver to New York on September 4, the monthly view below doesn’t show any Economy availability in September. If you select certain days though, and hit “continue” at the bottom of the page, the Economy seats appear again on the next screen. So be sure to check your desired days, even if the monthly view only shows Classic Plus awards. The cash price for the above ticket is $298, giving you almost 1.5 miles on the penny for the 20,000 mile round-trip economy award flight. 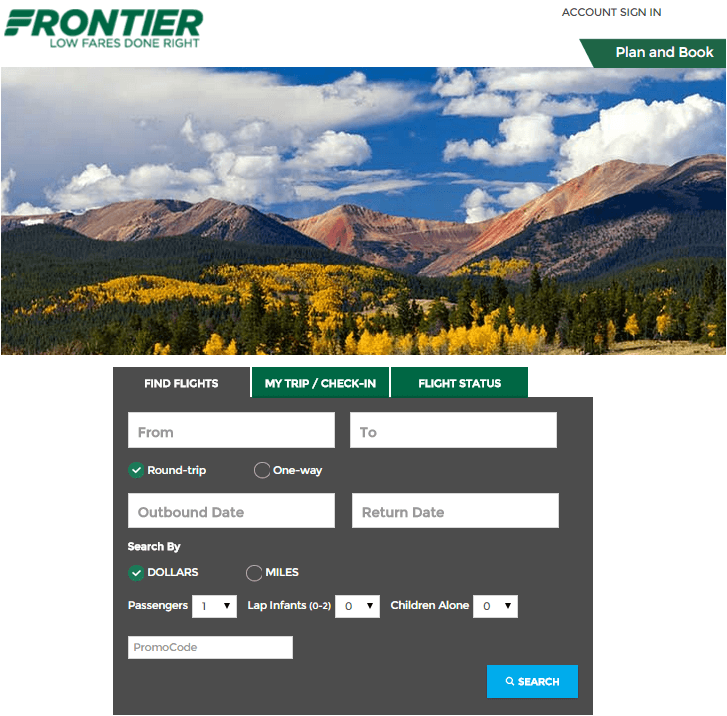 How to Confirm and Book Frontier Airlines Award Seats Online Once you’ve confirmed your itinerary, click “continue” at the bottom of the screen. On the following screens, you’ll be asked if you’d like to pay extra for a seat assignment and checked or carry-on bags. After that you’ll confirm your flight details and input your billing information. Frontier’s call center is open Monday through Friday from 6 a.m. to 8 p.m., and Saturday and Sunday from 7 a.m. to 6 p.m., Mountain Time. Wait times can be long, so try to call early in the morning. There’s a $10 fee for booking by phone. Unfortunately, not all Frontier agents are equally knowledgeable, and Frontier’s rules are still being revised, even after the major overhaul in March. So be as prepared as possible before you call, noting in advance the flights and routes you’d like to book. Except for cancellations, there are no fees for changes to your ticket if they are made eight days before the flight.